The 30 Day Smart Card entitles the bearer to ride any fixed route bus, all day, including Saturday. There is no need to purchase any transfers with a 30 Day Smart Card. The 30 Day Smart Card is valid from the first day of travel thru the 30th day of travel. This 30 Day Smart Card is sold for ($50.00) fifty dollars. 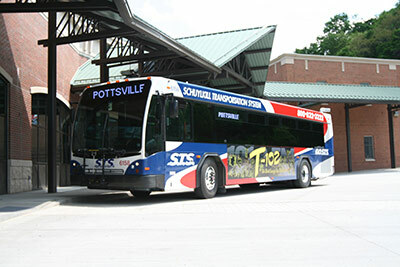 Reloadable Transit Smart Cards are convenient to use when riding the fixed route bus system. A minimum requirement of $5.00 is required when initially obtaining your Reloadable Smart Card. Once your Reloadable Smart Card is established; any dollar amount can be applied at any time. Both types of Smart Cards are available at Union Station in Pottsville, and can be purchased via cash, debit, or credit card (MasterCard or Visa) for your convenience. Access Cards can also be used to purchase Smart Cards if you have the Cash Portion available on your account. Drivers can only apply CASH onto an established Smart Card.